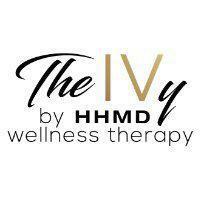 The IVy by HHMD always appreciates feedback from our valued patients. To date, we’re thrilled to have collected 18 reviews with an average rating of 5 out of 5 stars. Please read what others are saying about The IVy by HHMD below, and as always, we would love to collect your feedback. This is my go to place for everything. Friendly staff and environment. They help me out with anything I need and make me feel amazing! I was referred by a friend and I'm so glad I was. Alina is a gem! Thanks for being so caring and knowledgeable. My IV's and shots are always painlessly. Thank you The IVy for making me feel my best! This is my first time trying this and I'm super impressed. I'm one to try natural ways to keep my body going and staying healthy. The Immunity IV really helped me get over my cold and keep me going. Immediately saw a change in my mood and energy. The natural energy of the office and the comfort of the process really helped too! I'll definitely be back! The IVY infusions have been fantastic. The anti-inflammatory "cocktails" provide me with great relief from the constant pains in my neck. I am so thankful to have found The IVy! I have been suffering from migraine headaches and this is for sure going to help me maintain them better! I was feeling much better hours after and I'm so thankful to have found and alternative other than medication. 100% recommended! I was having major migraine headaches and chronic fatigue. When I asked Dr. Emil Avanes about some supplements that were suggested to me, he offered their amazing IV Spa experience. Although, needles are not my friend, Evana and Alina made it very easy for me. They were both very cautious and watched my body reaction closely. I had couple sessions, which indeed felt like being in a SPA; relaxed and energized during and after the process. More importantly, it helped tremendously to ease my migraine attacks. This was my first time getting an IV and I am so glad I did it! I went in to get an IV because I work with children and tend to get sick very easily. I chose to get the Immunity Infusion and Evana was super amazing with the entire process. She explained everything to me and answered all of my questions. I immediately felt rejuvenated and healthy. I'm so glad I did this and will definitely be back for more IV Infusions! This was my first time trying this out. I had heard about it from my friends and decided to give it a try. Found them on yelp with awesome reviews and decided to go in! I got the Performance IV since I work out a lot. I also work a lot. Had so much more energy waking up in the morning and not as much of the fatigue I was feeling. Gave me a great boost to my surprise. I’m definitely going to get this done on the regular! The office is great too. Friendly staff and such a chill environment. You really feel at home which is a super plus! They had me set up in a recliner and watching Netflix... much needed hour to rest. Pretty much 100% recommend this place. When I think IVy all I think is 5 star service, care and health. I have a weak immune system which means I am prone to just about any illness and deficient in about every vitamin. I can say that after receiving a vitamin infusion I have never felt better. I felt like a completely different person. The amount of energy I felt was like no other. I would recommend this for anyone with a weak immune system, who gets sick a lot. Or just someone who values their health. I had an amazing experience at the IVY! I came in because I was experiencing extreme fatigue and low back pain. The next day after my IV treatment I felt so much energy and my pain was gone! The customer service was phenomenal. Alina was so attentive, caring and accommodating! She sat down with me and discussed my symptoms and my medical history and was able to determine the right IV for my needs. She made me feel very comfortable as I have a fear of needles! I highly recommend the IVY to everyone! I frequently experience debilitating migraines that take days to overcome. I went in for an IV infusion during one such episde and it was by far one of the quickest recoveries I had experienced. I was back on my feet and ready to continue with my life! I’ve gotten several IV treatments. I always leave feeling relaxed, energized, and healthy. My immune system is a lot stronger and I feel less stressed. Alina is always so kind and professional. Always has a smile on her face! Came in for a boost of vitamins and hydration since I had been sick. I wanted a quick recovery because I had a newborn at home. This gave me the energy I needed and the recovery period was much shorter. Great staff and most important I got to actually take a break from life and enjoy some tv while giving my body what it needed. The MIC B12 injections are great! Alina was so accommodating and was able to give me an appointment the very next day. The injection was quick and easy. I felt such a difference in my energy levels! I'll definitely be back, so worth it! Thank you! I have been wanting to try an IV vitamin therapy and I am so happy to have found the perfect spot for it. I am a patient of Dr. Avanes and he recommended the harmony #11 which I think is the reason I have more energy now. You will notice a difference throughout the next days, weeks, maybe even months. One of the first things I noticed, which was unexpected, was less to no pain in my knees when going up/down the stairs (I didn't even realize I had become accustomed to the pain!). You will find other benefits as well as you go throughout your day including better/happier mood and energy. I wish insurance companies can realize the benefits of IV vitamin infusions because the beneficial results are definite. Thank you HHMD! I am so happy with the services I've been receiving from The IVy. I am so thankful for having HHMD in my life. I feel so much better after starting my treatments. I highly recommend The IVy to everyone! All of the staff at the office are extremely sweet, pleasant and professional!!! Thank you guys!!! Can’t say enough about the quality of service at The IVy. If I’m in need of an immunity boost or have had a little too much fun the night before, they always come through. Clean, professional and extremely nice staff. Thank you!